As of this posting, we have 2054 kids signed up and 532 have completed. I'm anticipating a lot more finishers coming in over the next two weeks (and I really hope they do - typically about 50% of the kids who sign up go on to complete...). 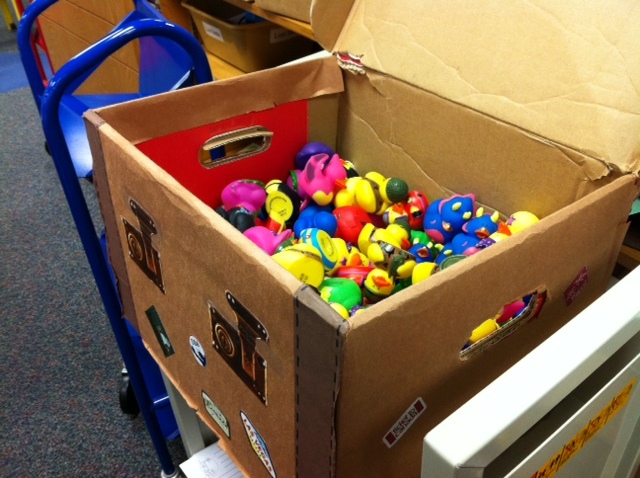 When the kids come in with their finished logs, they get a packet of coupons donated from local businesses, an entry slip for our grand prize drawings, and a duck from our treasure chest. 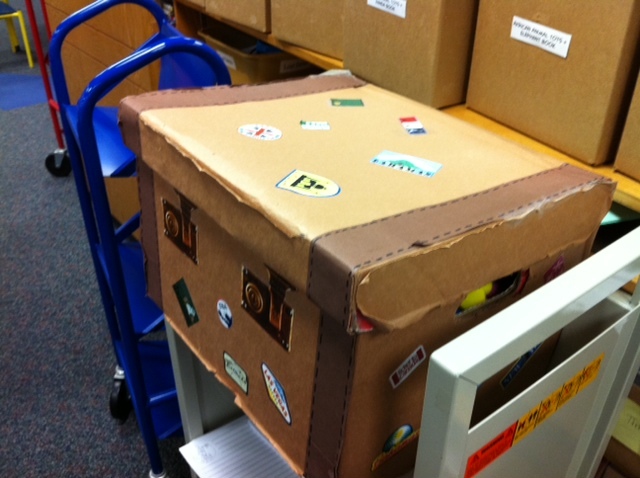 Last year, Miss T in our department created a treasure chest out of a cardboard box. This year, to fit in with our One World, Many Stories theme, she created a suitcase for us! - A Harry Potter party on Tuesday which brought in 44 kids. A bunch of them dressed up in their costumes! We had a few tables set up around the room with crafts and activities for the kids to do. We played the soundtrack and talked to the kids about how excited they were for the movie coming out this week. - A book discussion on the graphic novel Kampung Boy by Lat. We didn't have a huge turnout for this one, but the kids that came LOVED the book, which makes me happy since I love it, too. I'll have a detailed post on this program coming next week. - And tomorrow, our friend Mr. Pako is coming back to do bilingual storytime and talk to the kids about Mexico... Last month he came and we didn't have great attendance (but we almost never get good attendance on Saturdays...), but the kids who came got a lot out of it. I'm sure it will be fun tomorrow, no matter how many kids show up! I better finish some books and knock out those last two spaces! 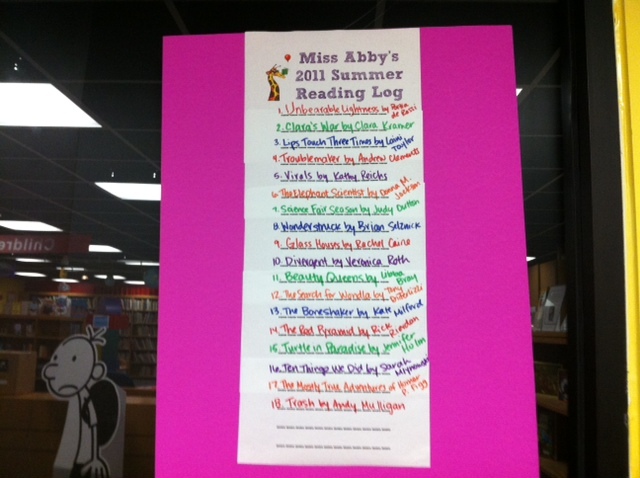 So, my friends, how are you doing with your Summer Reading Clubs? Here's a round-up of posts and if you have a post I missed, please leave me a link in comments and I'll add it! THE END IS IN SIGHT, PEOPLE!! We can do it! !